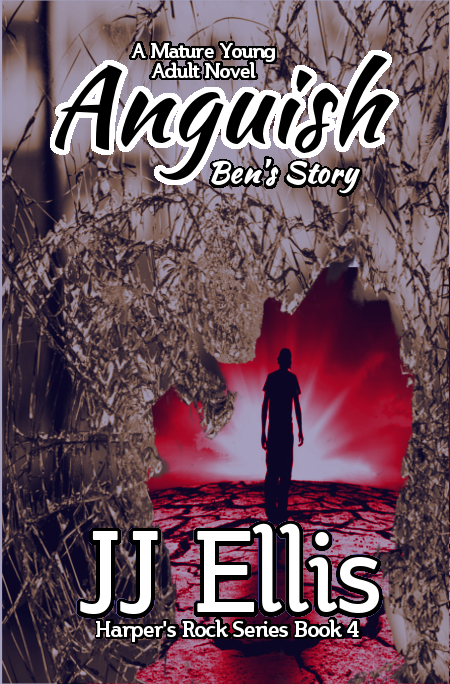 To celebrate her 3rd anniversary in publishing, Author JJ Ellis is not only offering both of her box sets and her single title free for two days, but she is revealing the cover for her upcoming novel, Anguish: Ben’s Story. 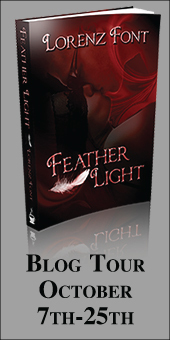 This Mature Young Adult Novel is a continuation of the contemporary romance Harper’s Rock Novel series about brothers from a small Wyoming town. 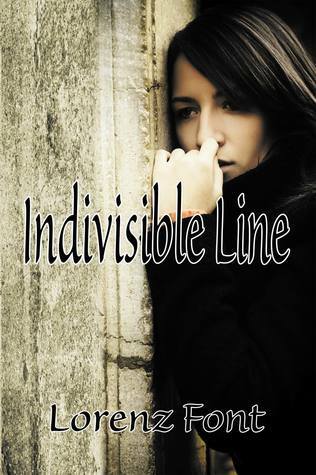 The oldest brother, Ben, gets his turn in this emotional story of a young gay man and his battles with acceptance in small town Wyoming in the late 1990’s and the depression that threatens to cripple him. Being a teenager is hard enough, but when you struggle with your sexuality and falling in love for the first time, life can almost be too much to bear. Add in a diagnosis of depression and anxiety and sometimes life feels like it is caving in on top of you. 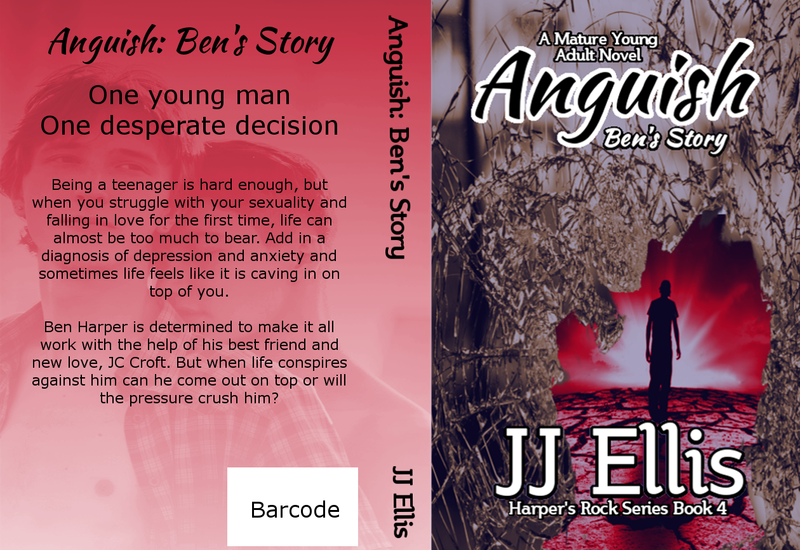 Ben Harper is determined to make it all work with the help of his best friend and new love, JC Croft. 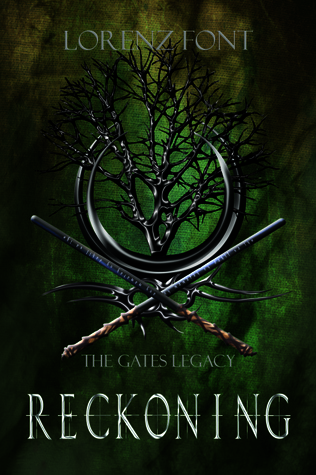 But when life conspires against him, can he come out on top or will the pressure crush him? He knew it was coming the minute he opened his bedroom door. But as hard as he tried to turn around and run out to the barnyard to join his brothers, his feet just wouldn’t cooperate. As if he had no control over them, he walked to his bed and laid down.